Florida authorities have recovered a hot air balloon stolen from its owner in Indiana. The Marion County Sheriff's Office said it's never done a balloon investigation before. SUMMERFIELD, Fla. — Florida authorities have recovered a hot air balloon stolen from its owner in Indiana. 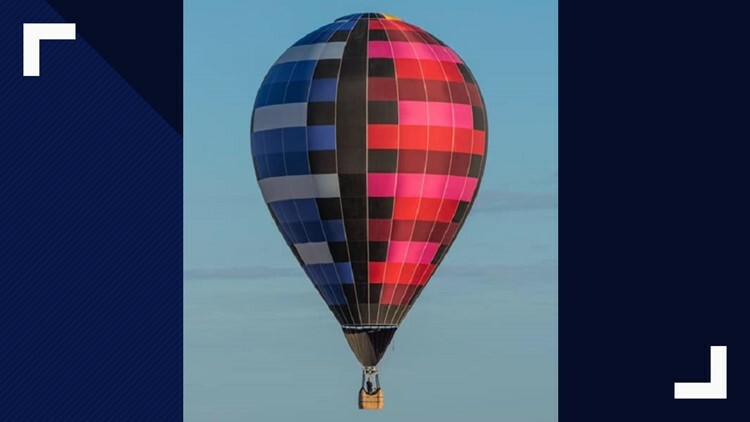 The Marion County Sheriff's Office got a tip Saturday from police in Bloomington, Indiana, that the stolen balloon had been spotted at The Villages Hot Air Balloon Festival. That tip wasn't full of hot air. In a Facebook post, the sheriff's office said deputies found the multicolored balloon with a grid pattern while checking other balloons participating in the three-day event in Summerfield. The sheriff's office said the owner did not want to press charges and just wanted his balloon back. A tow company was called to pick up the balloon so that it could be returned to its owner. The sheriff's office said it was the first balloon investigation in the agency's 175-year history.